*Note to Bidders! Sellers Can Suspend/Hold Bids! Our Payment Systems use advanced SSL Encryption technology to ensure that your details is secure and cannot be accessed by anyone else. This member assumes full responsibility for the content of this listing.gunbargain.comaccepts no responsibility whatsoever in respect of such content. This item has been viewed 2174	times. *Note to buyers! Firearms must be shipped to a FFL licensed dealer. 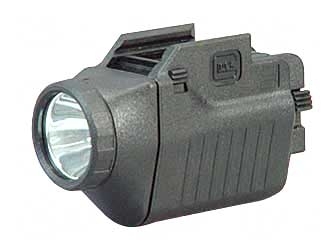 You must make arrangements with a dealer in your state if you do not have a FFL. The FFL Licensed Dealer will receive the firearm and transfer it to you. You can find a FLL Dealer located at WWW.ATF.GOV Your bid is a binding contract - Never place a bid unless you are 100 % sure you want to purchase the item. It is a good practice to contact the seller to ask any questions before your bid is placed. Ask the seller's about their inspection period and return policy. Your should ask the Seller for estimated shipping cost and delivery time before placing your bid. If you bid an item and win, you will have entered into a legally binding contract with the seller to purchase the item. After you have won the auction you must contact the Seller and request payment instructions within 5 business days. You must send your complete payment to the Seller within 14 days of the end of the auction. You must have your FFL (if required) send their signed copy of their Firearms License to the Seller. If your transactions are not completed within the day count your rights as the auction winner will be forfeited, and the Seller has the right to file a non-paying buyer complaint to us against you. This can cause your account to be suspended. WE ACCEPT MONEY ORDERS. ITEM WILL BE SHIPPED AFTER PAYMENT CLEARS THE BANK. ALL SALES ARE FINAL. WE RESERVE THE RIGHT TO CANCEL THIS AUCTION AT ANYTIME. Ready to bid or buy? 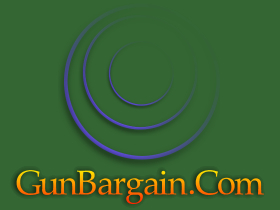 GunBargain Online Auction will inform the seller of your intent to purchase this item. Your purchase is a contract between you and the item seller. If you submit this purchase you will enter into a legally binding contract. This member assumes full responsibility for the content of this listing.gunbargain.comaccepts no responsibility whatsoever in respect of such content..